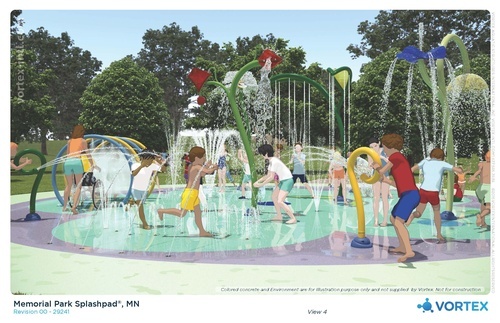 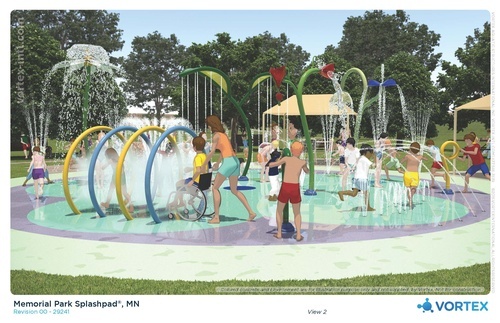 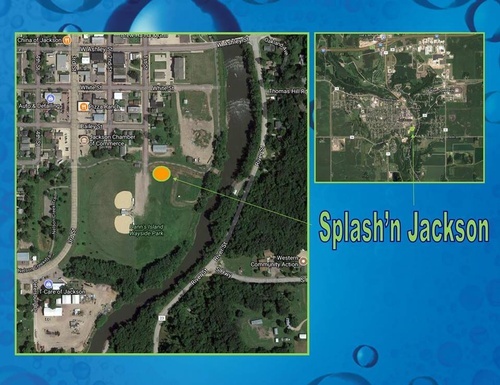 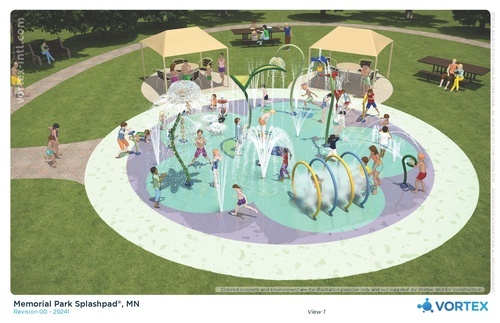 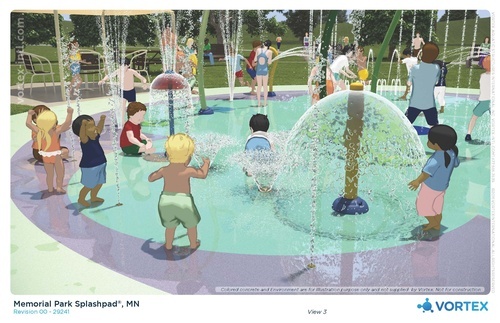 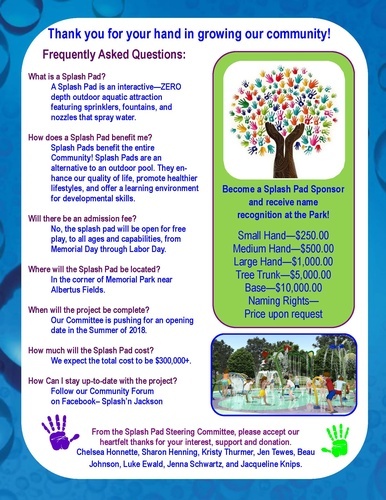 The Splash'n Jackson Steering Committee is working to raise funds to build a Splash Pad in Jackson! 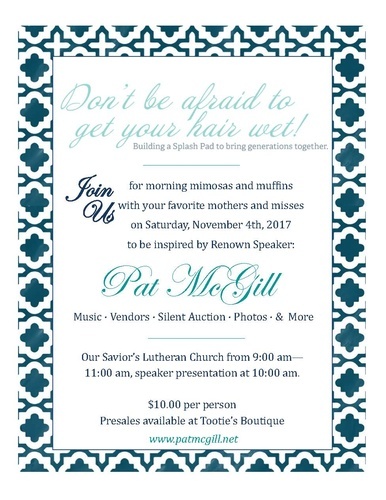 Your donations are needed and appreciated! 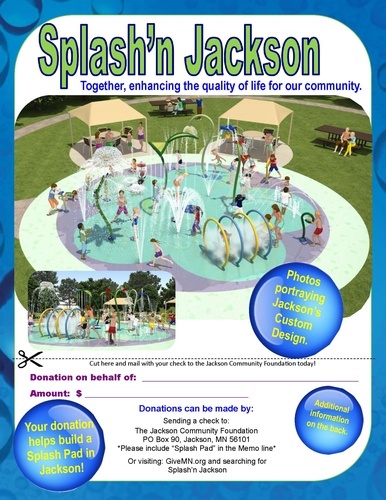 Help us grow Jackson!